Did you know that maintaining and keeping your fuel injectors clean serves two very important roles in the successful operation of your car or truck? Fist keeping your injectors clean saves you dollars at the gas pump. That’s right, when your injectors become dirty and begin to plug your gas mileage can be greatly reduced. Secondly, when your fuel injectors aren’t periodically cleaned to keep them in top working order your car or truck engines performance will suffer. Today’s modern auto engines with electronic ignition and fuel injection systems are thought by many to never need a tune-up. 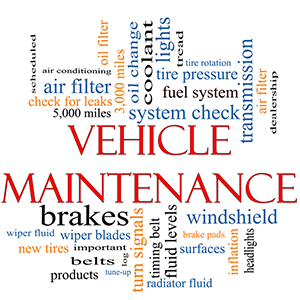 While these systems have greatly reduced the parts consumption and elongated the period between your vehicles need for service, they still need to be serviced. The clean burning fuels in use today cause carbon buildup in your cars induction system. Modern fuels chemistry tends to be waxy which wen burned cause build up. Add that to the recirculated exhaust gas ported back through your cars intake system through its EGR (Exhaust Gas Recirculation) valve and you can begin to understand how your fuel injection and intake induction system can become buildup and clogged with carbon over time essentially restricting the air and fuel flow and chocking the life out of your vehicle’s engine. No matter whether your car or truck runs on gas or diesel, periodic fuel system cleanups are needed. In fact, due to the higher temperature needed to burn diesel fuel, the build ups in a diesel engine fuel injectors can accumulate even faster than that of a gas burning engine! Why not stop by Bowes today and have one of our ASE certified auto technicians make sure your engines fuel system is clean and in optimal operating condition before you take your next out of town trip.